Mitsubishi accidentally created some intrigue at the Paris motor show by indicating an electric Lancer Evo is in the pipeline. Mitsubishi Motors Overseas Operations Group Headquarters managing director Hiroshi Harunari was talking through the company’s electric vehicle plan when a graph flicked up on the screen showing time-lines for various electric models. One of the models listed was a Lancer electric vehicle, although it was not mentioned in Mr Harunari’s speech. Asked about it after the presentation, Mr Harunari seemed as surprised as the members of the audience who had spotted it. “I don’t know,” he said. A press spokesman denied that a Lancer EV was shown, before opening a printed version of the speech to reveal a graph that did feature the model. 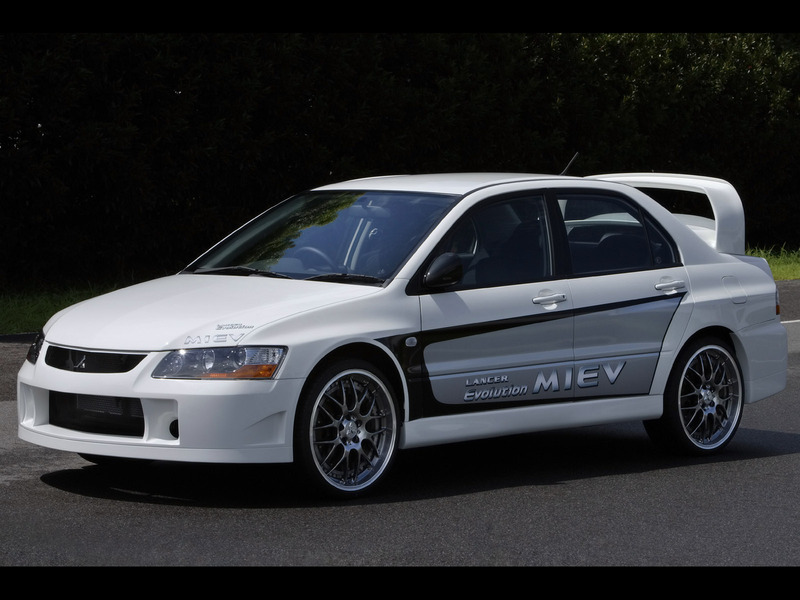 The red-faced spokesman explained that the vehicle was actually the 2005 experimental Lancer Evo iMiEV that used in-wheel motors for its power delivery, a technique Mitsubishi walked away from for the production iMiEV micro-car. “We work on that (in-wheel), at a slow pace; it is on the back burner,” said the spokesman. He seemed marginally more open to electric assistance of some kind, hybrid or pure electric, being available for the regular versions of the next-generation Lancer if some form of incentives were offered. “I don’t think so; however, the Japanese government is very supportive to electric vehicles,” he said. The introduction of a niche eco sport model such as an electric Lancer Evolution is not a far-fetched idea given the popularity of the Tesla Roadster and the proposed electric supercars from Mercedes-Benz AMG, Audi and Porsche. The accidental reference to an electrified Evo in Paris comes a year after one of Mitsubishi’s chief product strategists, Ryugo Nakao, told a Fairfax journalist through an interpreter that “the next Evolution will be a hybrid, combining ecology and sport”. Among the potential options for an eco Evo are a plug-in hybrid system used in the PX-iMiEV crossover concept at last year’s Tokyo Motor Show, which used a petrol engine and in-board electric motors, and the all-electric system with in-wheel motors used on the Evo iMiEV prototype race car in 2005. However, engineers said at the time the in-wheel motor system was problematic because they represented an unacceptably heavy unsprung mass that negatively affected the drive and handling of the vehicle.